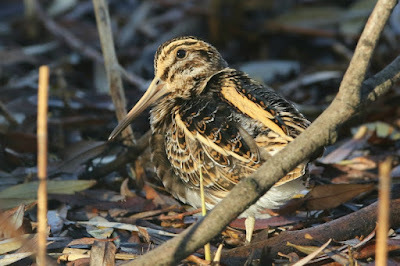 Jack Snipe is a bird I rarely see these days, so I was really happy to have a look at this fine chap as it bounced about on the small pond in Greenwich Ecology Park. In fact, it felt like I was back on Scilly staring at them on Lower Moors or Porthellick instead of having it with a backdrop of Canary Wharf. 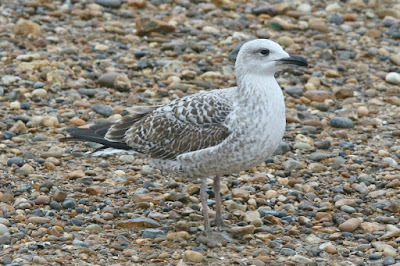 A thoroughly enjoyable, cryptically plumaged bird. With low tides mid morning, I got the loaves out in the hope there'd be something about. Today and yesterday I visited Thames Barrier Park and it was really barren, which was a great shame considering how decent this stretch of the Thames was last winter. I'm going to put it down to the mild weather and continual west/southwest winds which just doesn't bring the roaming gulls into the big city! 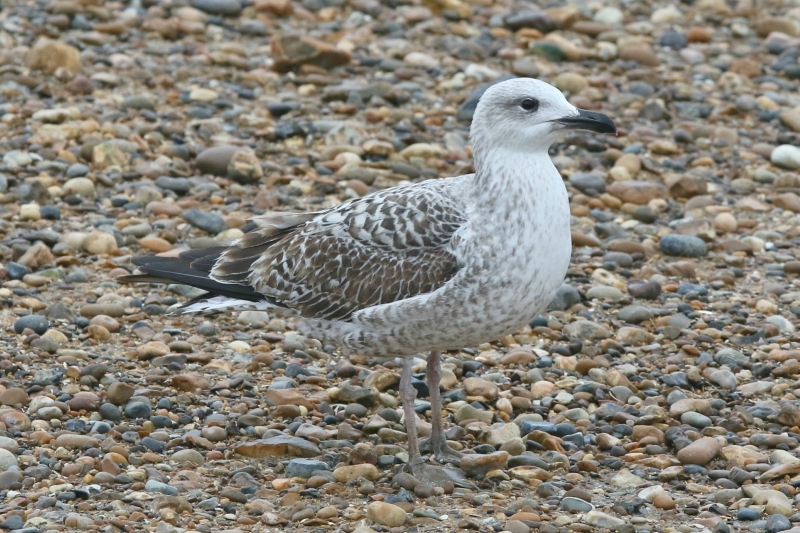 Nevertheless, there were four Yellow-legged Gulls there today (an adult and three 1st-winters) and three yesterday (an adult and two first-winters) but not the hoped for Caspian Gull. Meanwhile in Rotherhithe yesterday, on Greenland Dock I managed my first ever Shoveler for the site - a female along with 49 Tufted Ducks - that presumably had decided to wander from nearby Southwark Park (where the species is regular).